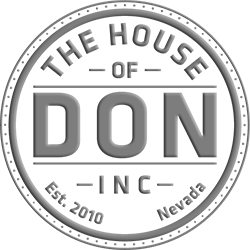 The House of DON, Inc. If you would like to book one of our services, please visit the subdivision in which you are looking to help you with your needs. Booking a video production team for a documentary, independent film, music video or any other mainstream production needs, such as, reality TV, live events and music production. Booking to create video content or still photography for your product or brand, commercials, trade shows, live events, realty photos and videos, seminars, post-production, highlight videos and more. Offering DJ, photography and video services in Las Vegas and the surrounding areas, for weddings, birthday parties and other private events.